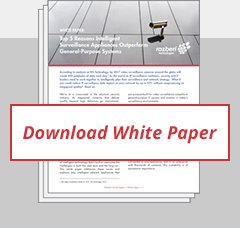 Designed to meet the needs of any sized organization, the Razberi video surveillance platform is highly reliable, secure, and network-optimized for megapixel quality. 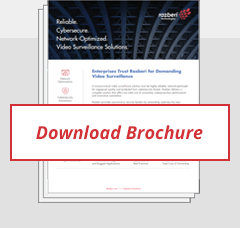 Razberi’s intelligent video solutions can be deployed in flexible combinations, with options for data center, edge, and rugged applications. All offer low total cost of ownership, enterprise-class performance, and innovative automation with centralized monitoring and management. Razberi CameraDefense™ software automates cybersecurity protections with camera hardening and cyber threat monitoring. Razberi Monitor™ health monitoring alerts security professionals to issues 24×7. Razberi appliances are compatible with top video management systems (VMS) and any network camera. The company is headquartered in Dallas. Razberi is a proud member of the Security Industry Association and is a PSA Security Vendor Partner. As part of our commitment to quality, our Dallas area factory is ISO 9001 certified. Learn about our Executive Team and Board of Directors.